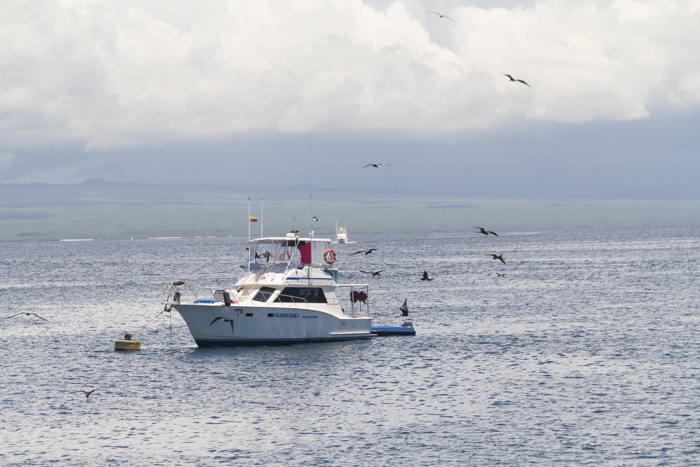 There are many islands in the Galapagos Islands in Ecuador. North Seymour is one of the best you can visit. In this post, I will show you why. 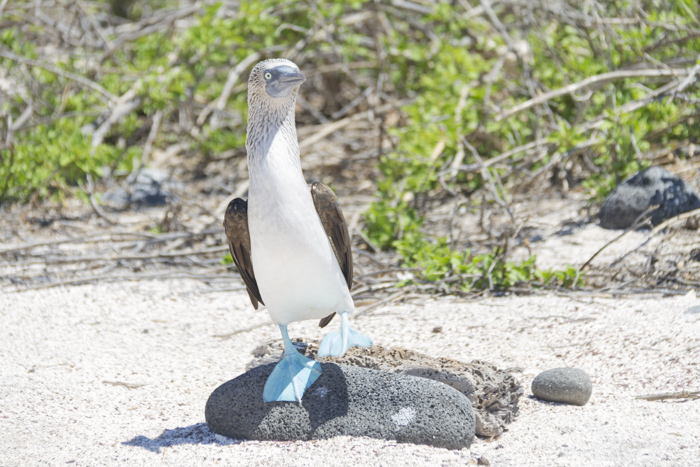 North Seymour Island has a large population of blue-footed boobies, frigate birds, sea lions and Land Iguanas. 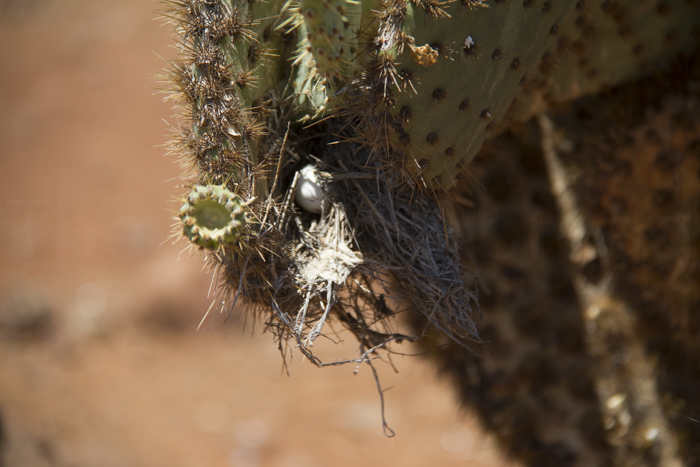 If you are lucky you might see Nasca birds as well. 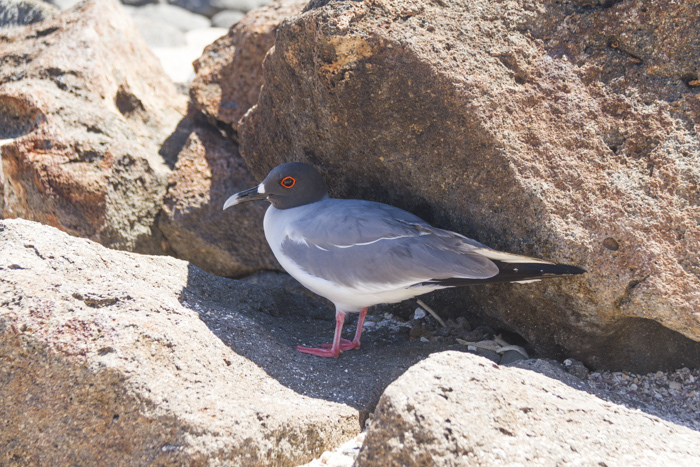 North Seymour is heaven for bird lovers and is a great place for snorkelling. It is a small island that is close to Puerto Ayora. The island has a visitor trail of only 2 kilometres, but it is so much you can see on the trail. North Seymour doesn’t have a volcanic origin, but seismic uplift. It is a flat and dry island. And you will really feel the heat while walking there. You can only visit the island with a naturalist guide and you can not sleep or stay there. Dry vegetation on North Seymour. 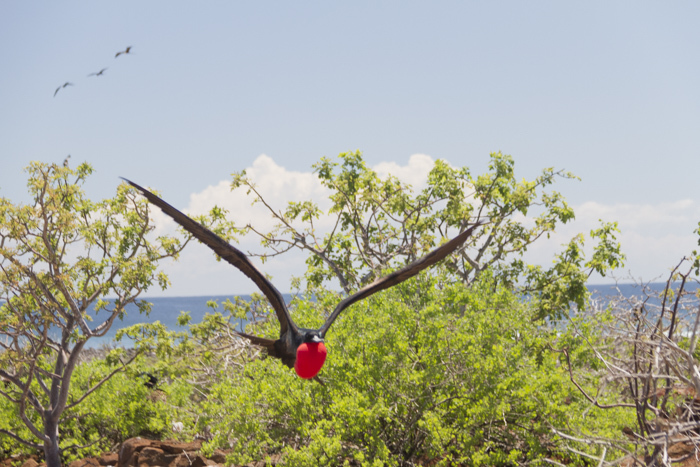 You will see that the Boobies are on the ground and on rocks the Frigate Birds are on the trees and branches. 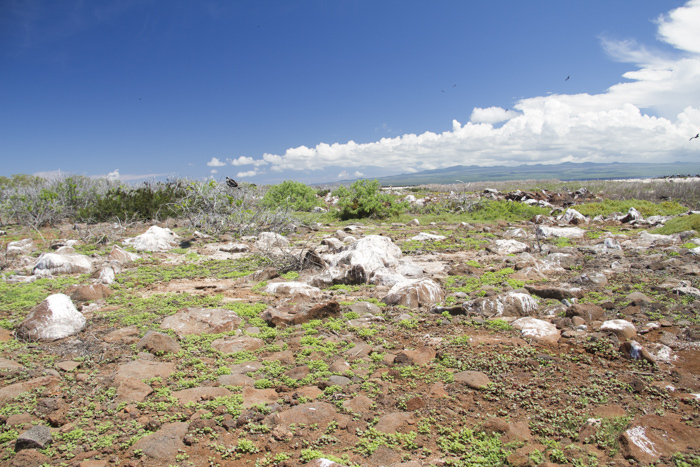 The landscape might not be the most outstanding but it is a perfect island to see the unique birdlife in The Galapagos. Like these guys, the Blue Footed Boobies. Be patient, they might pull up a dance for you. 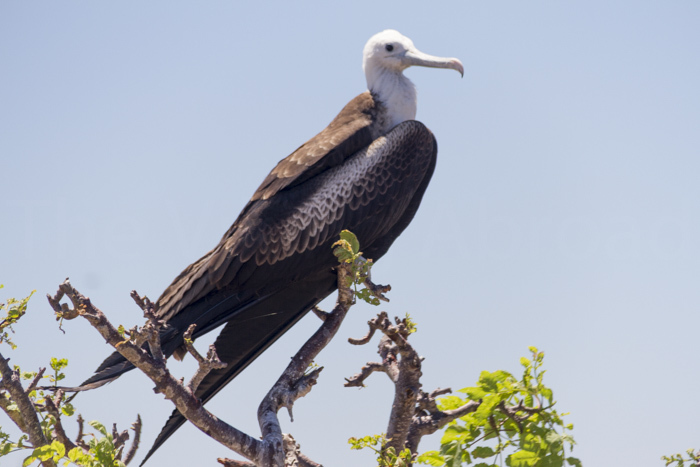 You will also see a lot of Frigate Birds. I think these are so fascinating when they breathe it looks like a red balloon. I have wondered what happens if they get whole on it. 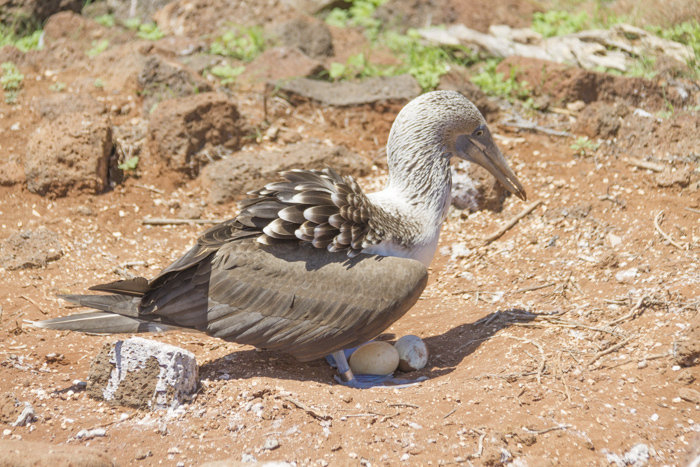 Frigate Bird eggs. Our guide was strict that we could only take a photo far away. Tourists have also ruined eggs because they go to close. Please respect the wildlife and listen to your guide. Land Iguana. I just love their face, they are so funny and just chill all day. This wonderful beach is north of Santa Cruz. Calm waves which are perfect for a chill day at the beach surrounding with Lightfooted crabs and fishes. 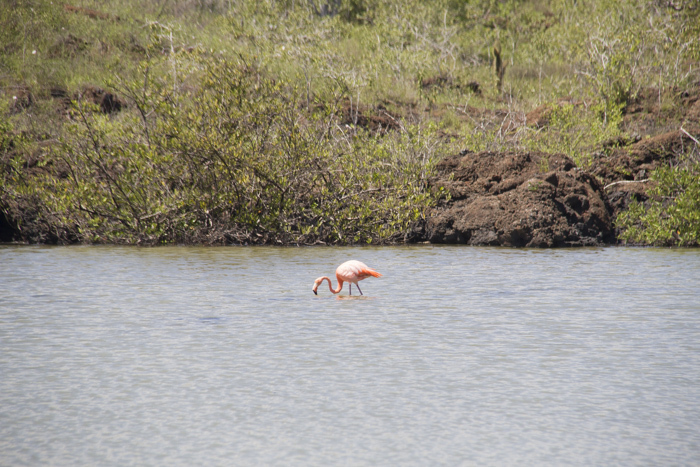 You might also see flamingos in the lagoon. 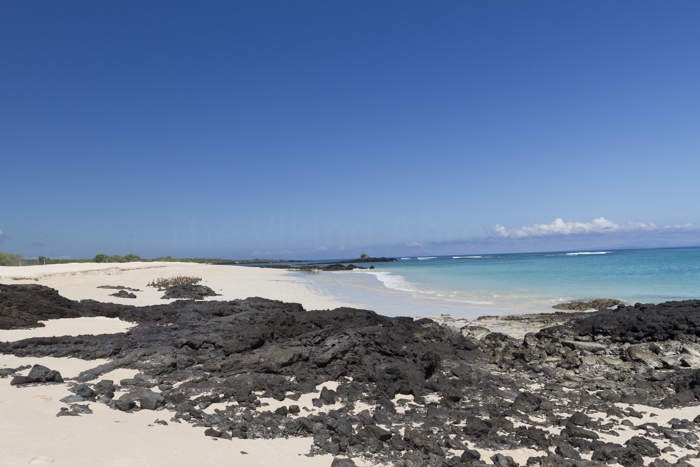 The tour we did with Galapagos Dreams had Bachas beach included and is pretty close to North Seymour. Parts of an Abandoned Rusty Barge from the world war 2. That is the reason it is called Bachas because they couldn’t say Barges. Put Sunscreen on every 60 minutes, at least 50 SPF! Use a Big sun hat that covers your face and neck. I also recommend cover as much as possible and using a Surf sweater. Bring enough water for the day trip. I recommend at least 2 litres. Bring Snorkel set, Underwater camera and a Quick-dry towel if you are going snorkelling or going to Bachas beach. Follow the rules, don’t go outside the trail, don’t touch anything and don’t go closer than two meters to the animals. 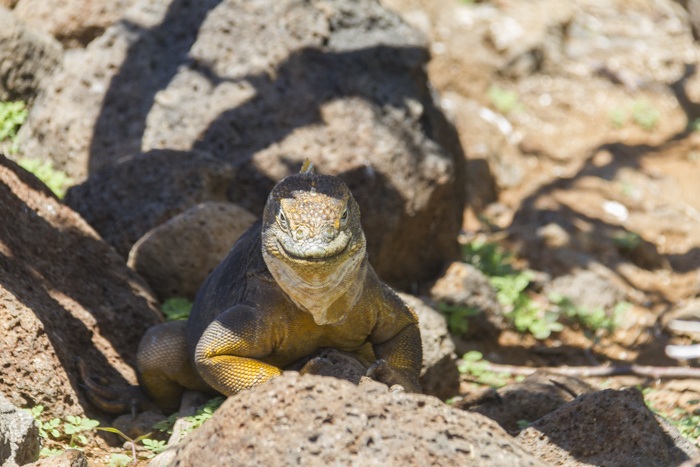 Read more on what to bring and pack to the Galapagos Islands. 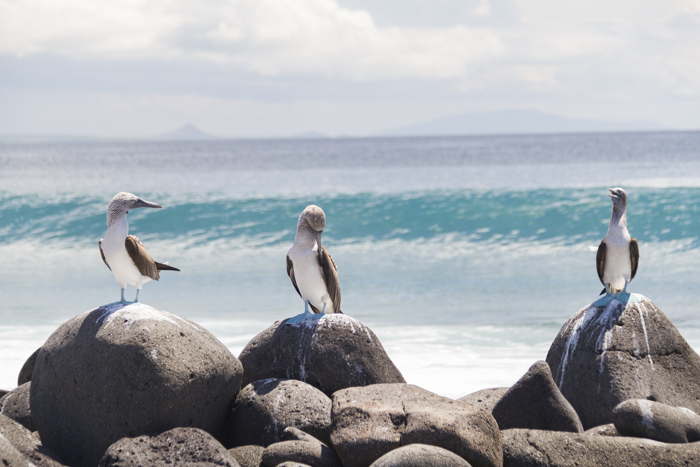 Have you been to the Galapagos Islands, what Islands did you visit or if you have not been? Do you know what you want to see there? 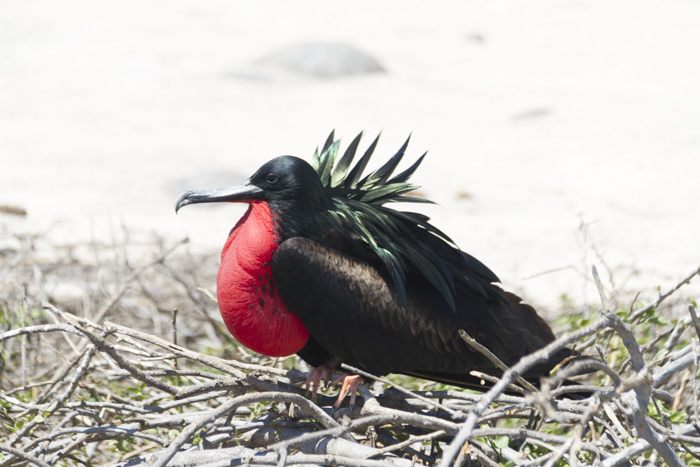 I am so fascinated by the Galapagos Islands and love reading your posts. The Blue Footed Boobies are so amazing. I have never seen a bird with blue feet! 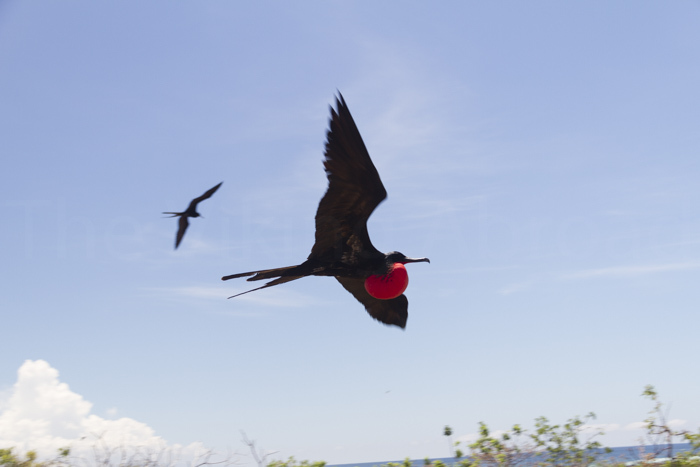 And the bird Frigate Birds with the red balloon…now I wonder why they evolved that way. I can totally see why Charles Darwin was here observing the many species of birds. 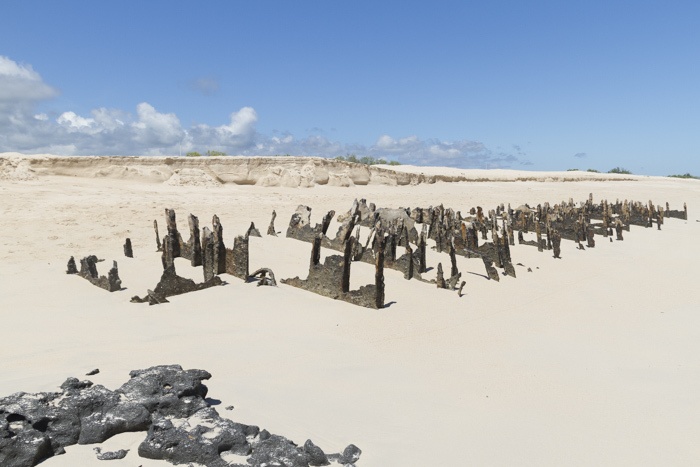 OMG I have been curious about the Galapagos and this makes me want to book a trip asap! All that wildlife – I would be in heaven! Those blue footed birds look especially cute! Wow, I’ve been reading a lot of good things about Galapagos Islands and I can’t wait to traipse my feet on its innate beauty. The North Seymour Island is sound like an Island that I want to explore with my two little itchy feet. Those birds are really adorable and lovely and they look like very comfortable living on the Island. Thank you so much for sharing it with us. I have always been intrigued about Galapagos Island and turtles there. I never knew about all the birds that there was and Bachas looks like it is something out of a starwars movie. Lovely post and definitely pinning for the future.. 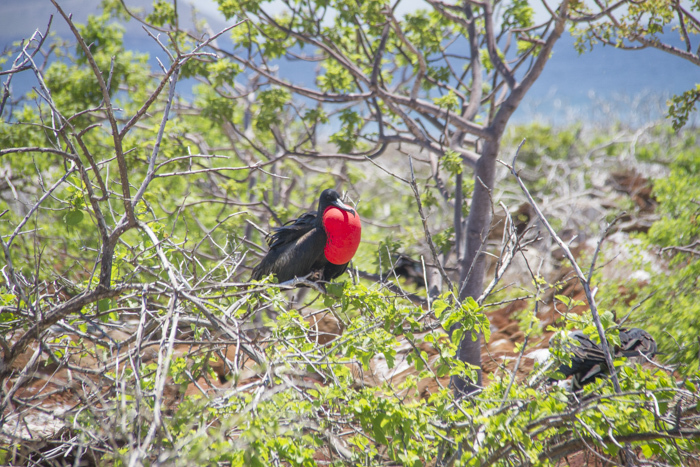 I always find the Galapagos islands to be a wonderland of biodiversity. 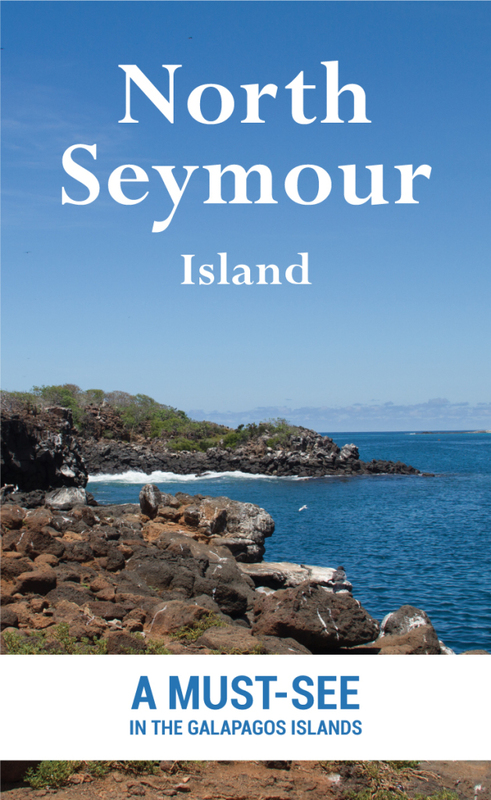 Seymour really seems to top the places in Galapagos. The birds look so beautiful and their vivid colours have been captured so well by your lens. It must have been a wonderful experience getting so close to these marvels of nature. 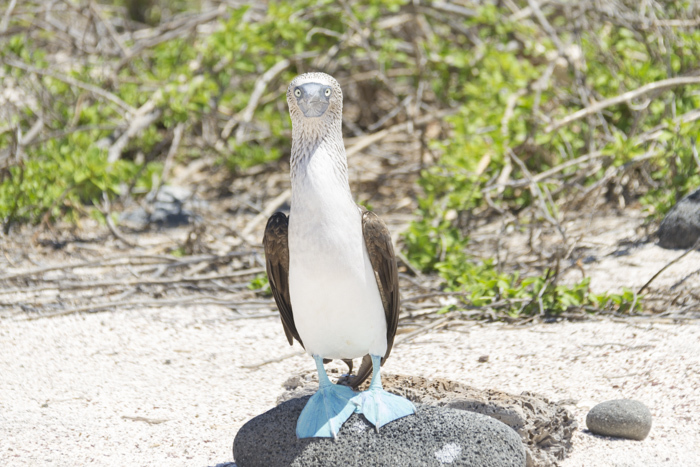 OMG your photos of the blue footed booby are amazing! I have always wanted to go to the Galapagos! 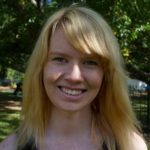 I am a nature and animal lover and there are so many unique species there that I have always wanted to see! I haven’t even started planning on where we would go when we do make it but Seymour is now at the top of my list! Your photos are amazing! 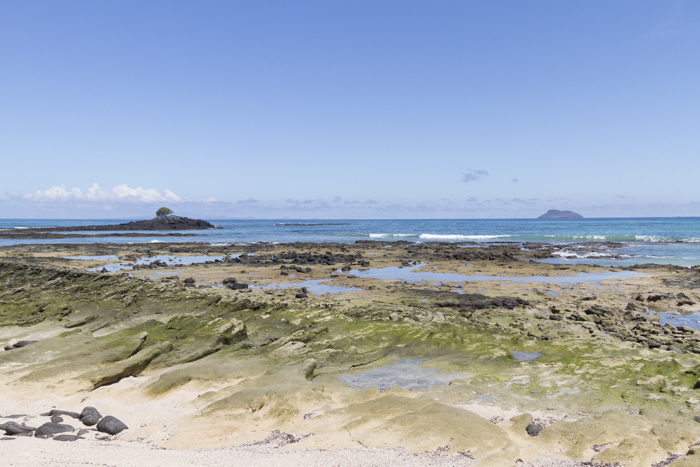 I think we all grow up dreaming about visiting the Galapagos and it seems like this is one of those rare spots to be worth the hype. I’m not a bird watcher, but your photos make me ready to book a flight! I have never been to this lovely destination but it is definitely on my bucket list. Whoa so cool! 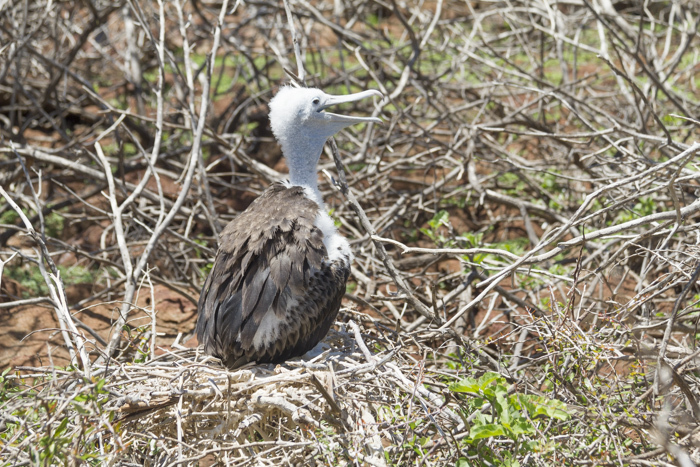 I love the blue-footed boobies – they’re hilarious, and you got some great shots of them!!! Beautiful photos! I love the birds. My husband and I recently started getting into bird watching/photography. 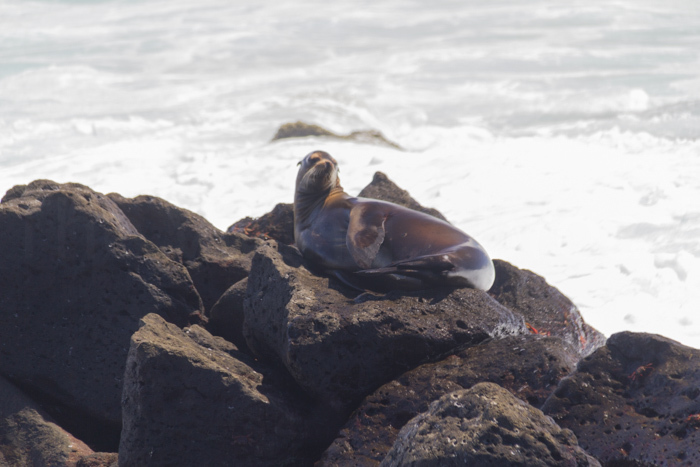 We also saw the documentary/series on GALAPAGOS ISLANDS.